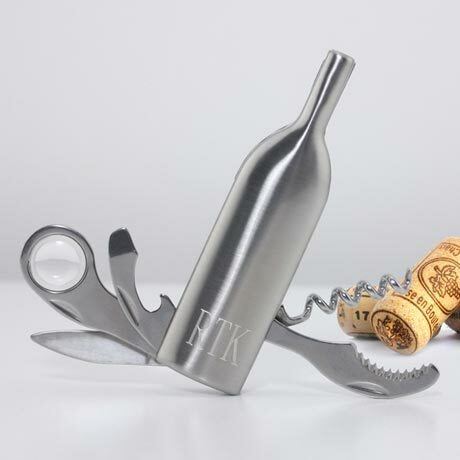 Stainless Steel Vino Wine bottle multi-tool. Measures 3 7/8" x 1" x 1/2". Includes a corkscrew, cutter blade, and cap lifter. Personalize with up to 3 characters. Allow 2-3 weeks for delivery. Item can only be shipped within the Continental US.